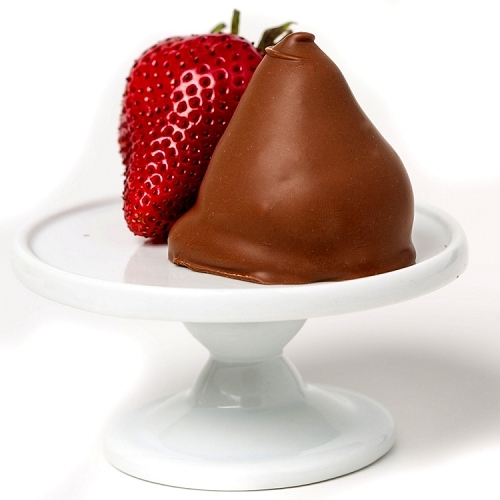 One pound of our decadent chocolate covered fresh orange wedges, available in all milk chocolate, all dark chocolate or a mix of half milk half dark chocolate. Net Weight 16oz. Just tried these today and it was amazing! The chocolate is so crisp and the fruit incredibly fresh. Can't wait to go back. Outstanding!!! Ample and delicious dark chocolate covering surrounding a wedge of tanging orange crisply bitten is heaven! Mom and I had the best experience in a candy store when you came out with samples of your mouth watering fresh orange slices covered in dark rich chocolate as samples. Without napkins, we race to eat these juice squirting morsels of heaven laughing hysterically to keep any of it hitting the perfectly clean floors. Scrumptious! There were so many samples of different chocolates around the room, we thought we went on vacation. No doubt, we had to buy our favorites before leaving. Way to go, DB. 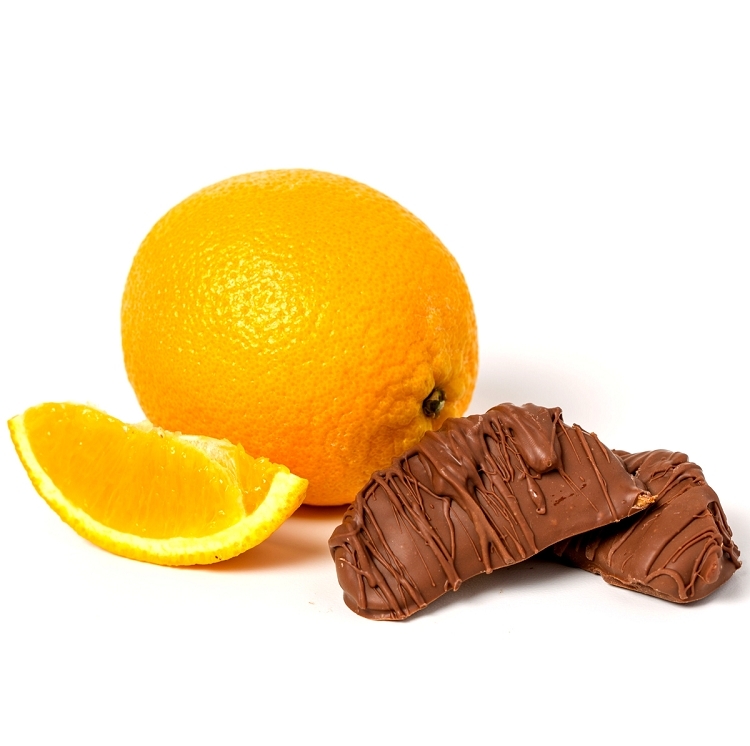 The chocolate covered orange is the greatest thing since white bread. The tanginess of the orange combined with the dark chocolate, is absolutely great. Wow....just wow! The chocolate covered oranges were juicy and decadent!!! 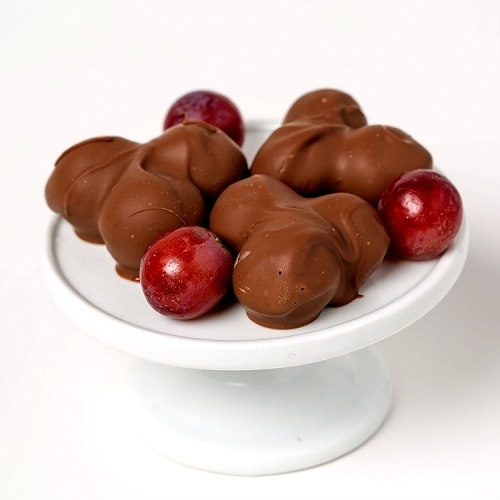 I had tasted for the first time the chocolate fruit and it is simple delicious. I purchased the orange slices which are very juicy and the grape clusters which are one of my favorites. David Bradley's chocolates are so worth the trip to taste!!!! !